Marissa Doyle majored in history and archaeology and still reads a lot of non-fiction in those areas. She enjoys sewing, needlepoint, and making quilts and she loves to be in and on the waters of Cape Cod. She lives in Massachusetts with her husband and kids and a house rabbit. 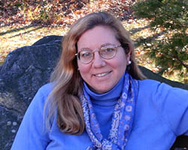 Read excerpts of her novels at Marissa Doyle’s website. CLICK HERE FOR MORE BOOKS BY MARISSA DOYLE. The Leland Sisters — (2008-2013) Young adult. Publisher: In 1837 London, young daughters of viscounts pined for handsome, titled husbands, not careers. And certainly not careers in magic. At least, most of them didn’t. Shy, studious Persephone Leland would far rather devote herself to her secret magic studies than enter society and look for a suitable husband. 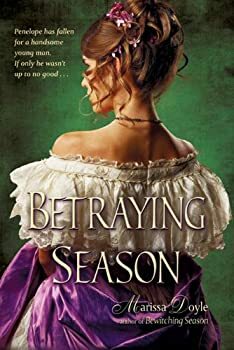 But right as the inevitable season for “coming out” is about to begin, Persy and her twin sister discover that their governess in magic has been kidnapped as part of a plot to gain control of the soon-to-be Queen Victoria. 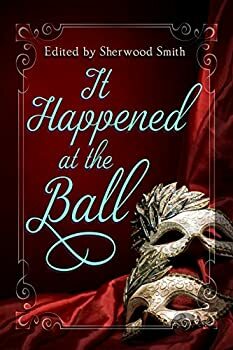 Racing through Mayfair ballrooms and royal palaces, the sisters overcome bad millinery, shady royal spinsters, and a mysterious Irish wizard. And along the way, Persy learns that husband hunting isn’t such an odious task after all, if you can find the right quarry. Persephone and Penelope Leland are excited to start their first season as eligible women in London. At least Penelope is. Persephone is nervous, and besides, she’d much rather continue her studies in magic with their governess Ally. 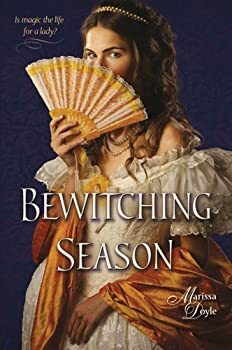 The twin girls are witches — as is their governess — and in addition to their book and finishing training, Ally helps them to learn magic and how to use it responsibly. Things go horribly wrong however when Ally comes up missing a few short days before their coming out. When the family receives a cryptic note, the twins know something is not right, but have no idea what to do about their missing governess who they love and miss. Little do they know they are walking into a much bigger plot in which Ally is a central player, and to top it all off, Persephone has an admirer whom she has to try and fend off at the same time. Penelope Leland is off on an adventure of her own. Eager to get away from her newly married, not to mention disgustingly happy twin Persephone, Pen ships off to Ireland with her former governess Ally to continue her studies in magic in the hopes of getting to the same level as her sister. But things never seem to go according to plan, and Pen soon finds herself more alone than she could have thought possible, Ally is expecting a baby and is dreadfully sick all the time, and though she has her magic classes with Ally’s father-in-law to distract her, the gentlemen who she studies with are not enthusiastic about sharing their knowledge with a woman.